What’s Next For The Whale After He’s Banned? 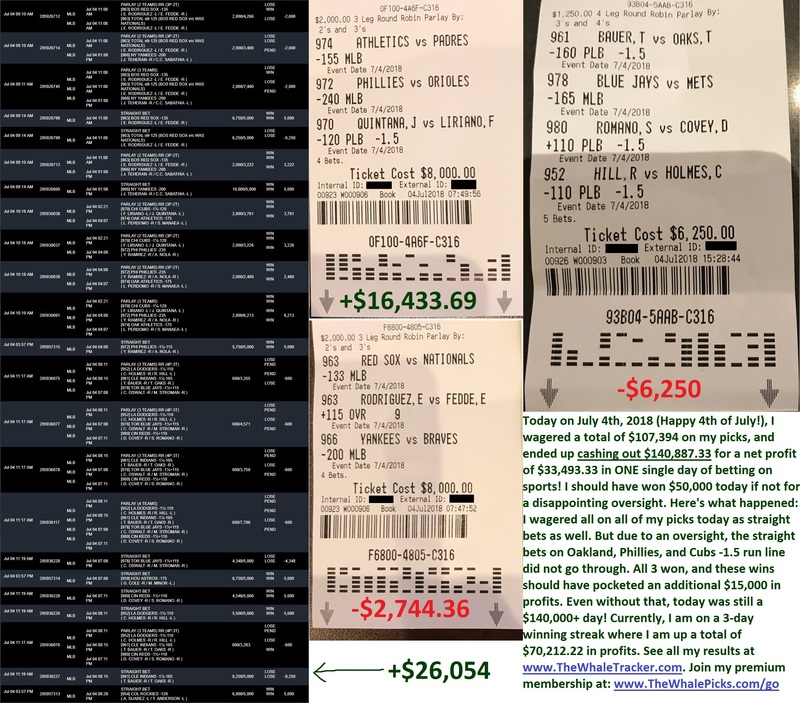 Here’s a recap: I’m on a tearing winning run right now where I pocketed $130,000 in profits in the last week. 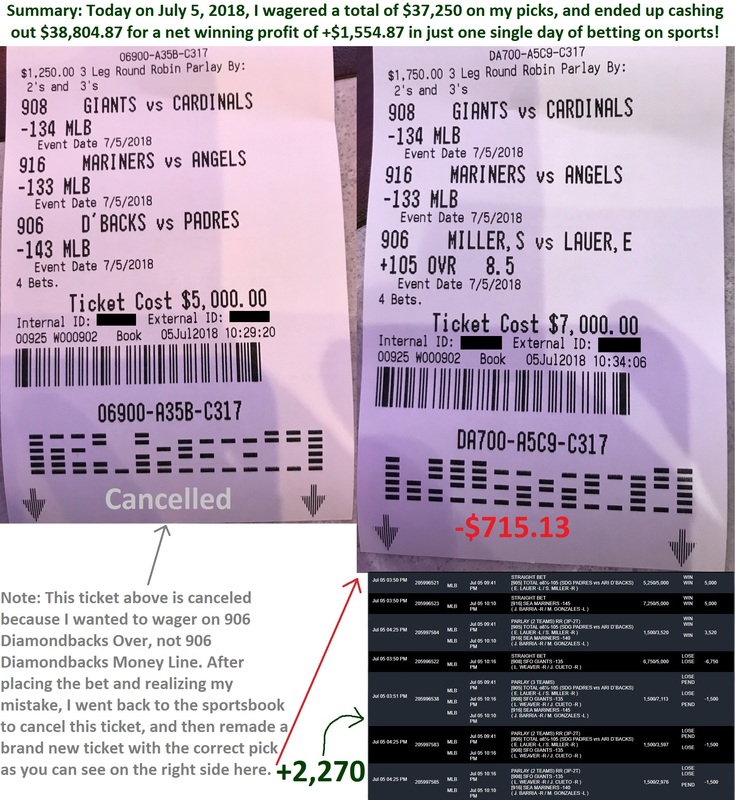 As you know, one of the sportsbooks shut down my account and banned me from making any more bets since Saturday (see proof in the above video). I’m scrambling right now looking for another bookmaker bold enough to take my high limit action. I’ll keep you on the progress as it happens. 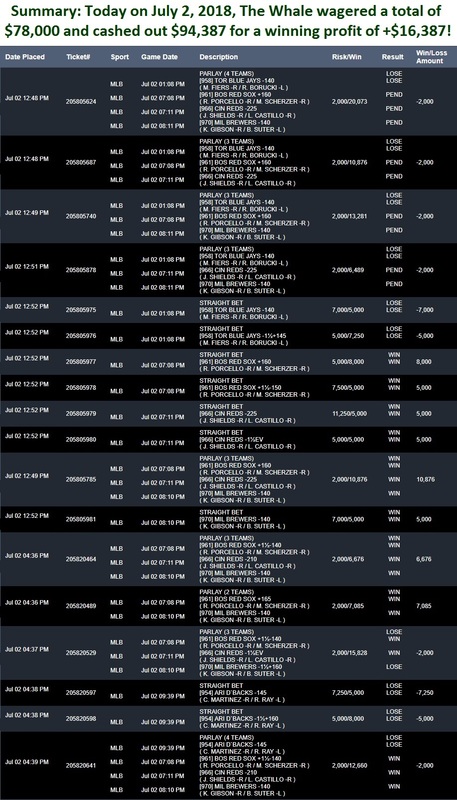 Do the math: In just the last 7 days of betting on sports, I’ve now profited a total of $129,534.47. That’s almost $130,000 I just literally made right in front of your eyes in exactly one week! 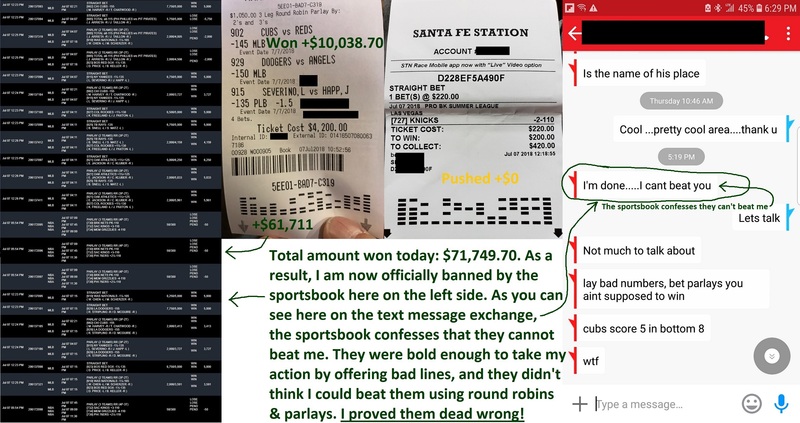 If one of the sportsbooks didn’t ban me on Saturday, then I would have wagered over $100,000 yesterday, and likely ended up winning at least another $20,000+ in profits. And had they kept on taking my high limit action, I may very well go on to beat them for a million dollars in the coming weeks. 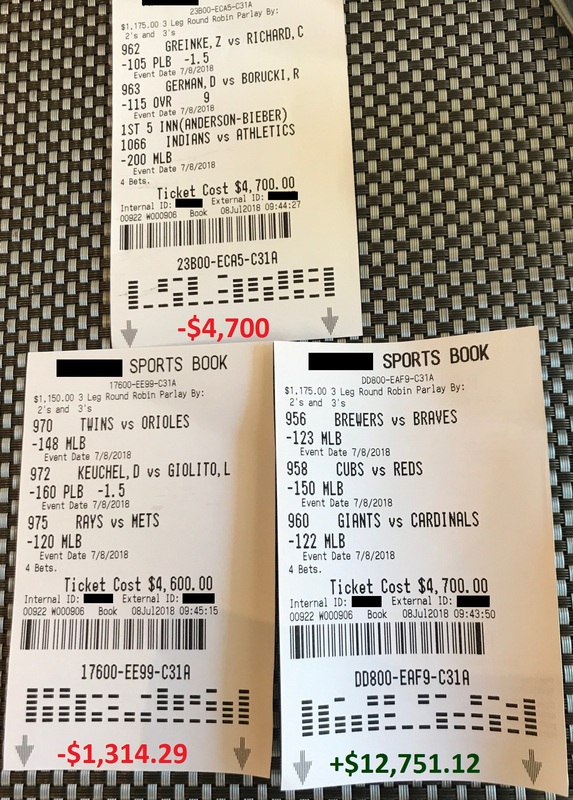 Back in the old days at the Mirage when they’d let me bet $20,000 per parlay on Round Robins, I was beating them for tens of millions of dollars. At Pinnacle when they were willing to take similar amounts of action, I beat them for 4 million dollars in 4 days. 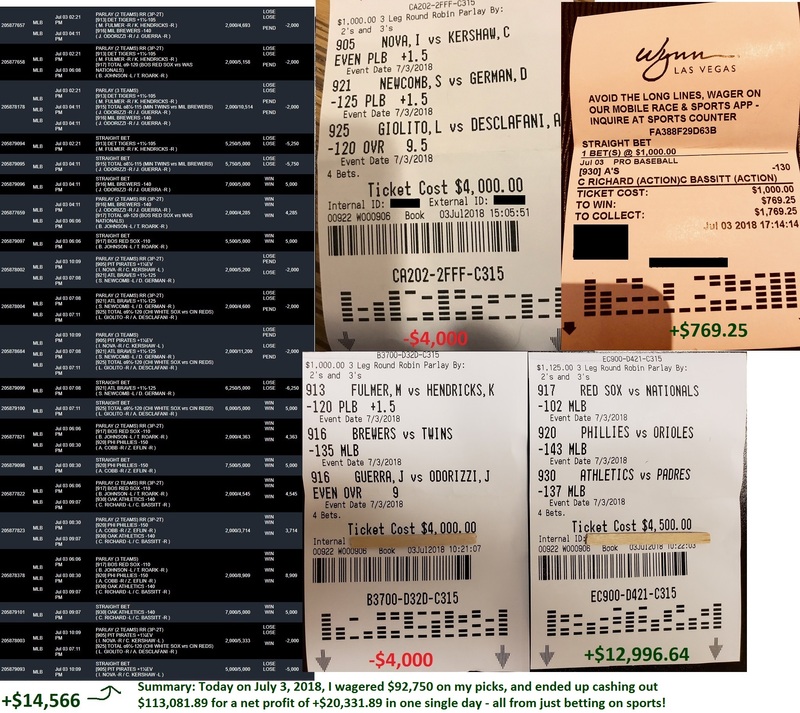 But in spite of all the limitations, restrictions, bad beats, account shutdown, and everything else I have had to deal with in the last week, you still saw me win nearly $130,000 right in front of you. So now you’ve seen me go on a $326,000 winning streak last month, and then another $130,000 winning streak this month (and still counting). Am I done? No, not even close. Mark my words: I’m not satisfied until I show you my multi-million dollar winning streaks. 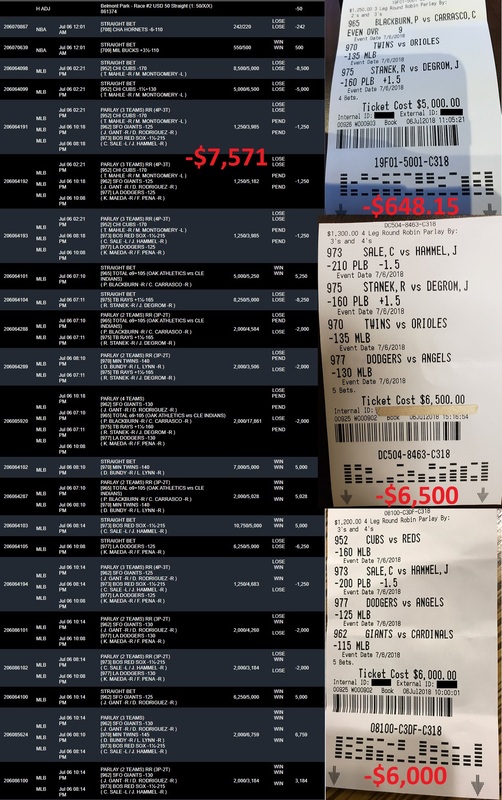 I have gone on hundreds of thousands, million, and multi-million dollar winning runs many times in the past. My next great mission is now to share my success with you by giving you the same selections I’m taking himself each day. This current $130,000 winning streak is one that I consider to be just the beginning. My goal is to take it to over a million dollars this month. And this is no castle in the sky. It’s reality. You can probably tell that I’m fully capable of going on a million-dollar winning streak. You literally saw me take $26,000 and turned it into $326,000 last month. So if I can take $26K and run it up to more than $326K, then I’m sure you’ll agree that I’m fully capable of also taking $130,000 and run it up into the millions.